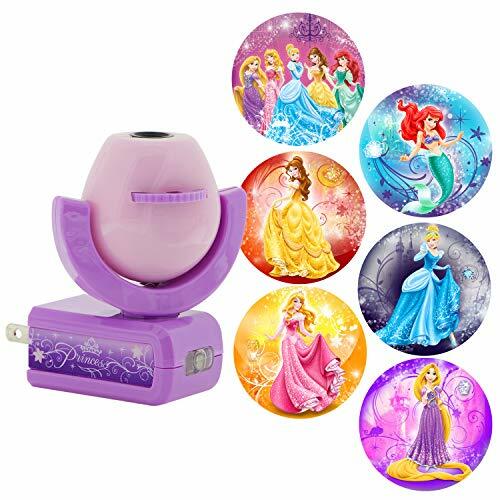 Transform your child's room with this Projectables Night Light featuring Disney Princesses! 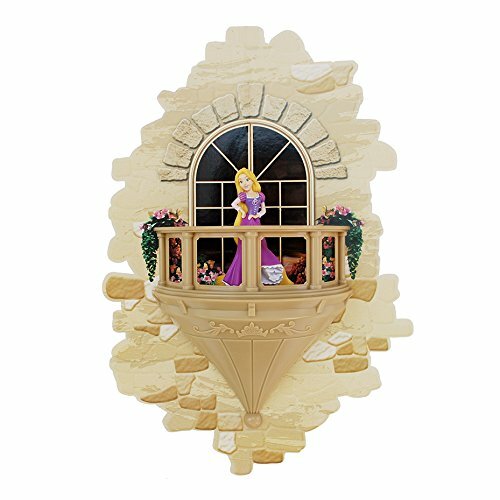 The Projectables LED night light provides a soothing guide light while projecting one of six Disney Princess images on the wall, ceiling, or floor. It uses light-sensing technology to turn on at dusk and off at dawn. 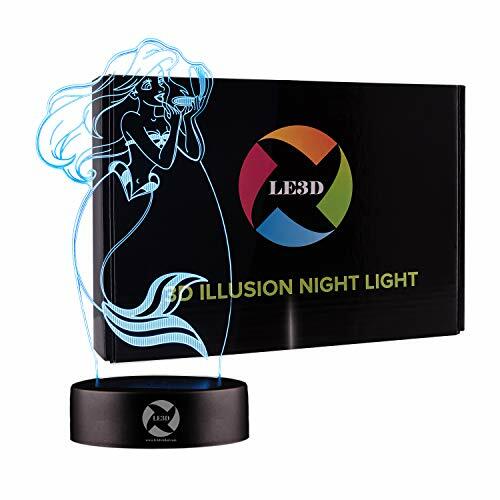 Long-life, energy-efficient LEDs are cool to the touch making this night light safe for any room in your home. It's perfect for kids of all ages. 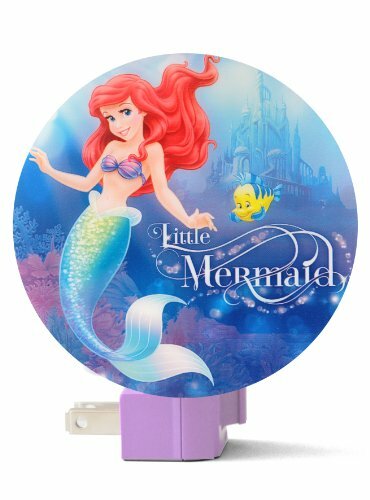 This adorable nightlight is the perfect addition to your child's room or bathroom. Featuring an easy-to-use on/off switch, the nightlight plugs into the wall and emits a soft light for your child's added safety and comfort. 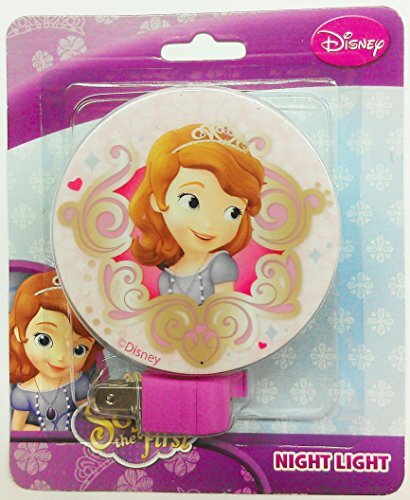 Also available in other Disney characters. 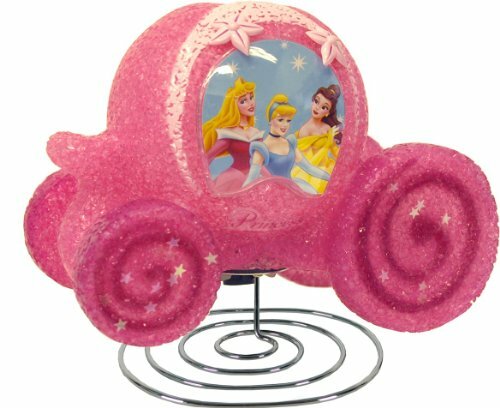 Lighten your little one's room in style with this Disney Princess Carriage EVA Lamp. Composed of EVA, it emits a soft glow that can be used as an accent lamp or night light. 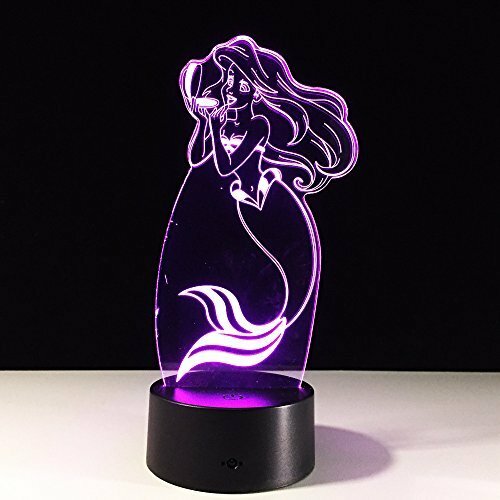 Featuring unique and creative designs of your favorite Disney characters, the EVA lamps will add personality and décor to any child’s room. This product is not a toy. Plugging the light into the electrical outlet should be performed by adults only. The risk of electrical shock does exist. Light bulb should not exceed 7 watts, and it is included and assembled in the lamp. For indoor use only, and it should not be used in or near water. Do not use with extension cords. For safe use, plug only into exposed wall outlets where a device is ventilated and cannot contact bed covering or other material. This applies to 7 Watt incandescent bulbs in particular. Caution: Risk of electrical shock. This is not a toy. 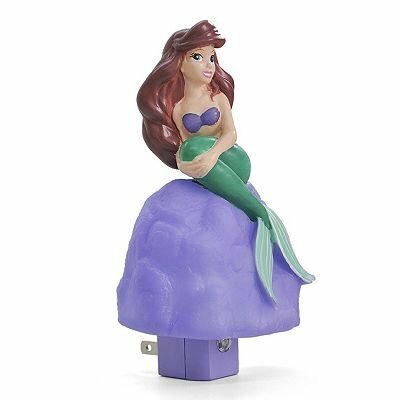 This Ariel the Little Mermaid lamp is must have for every fan of Ariel out there. 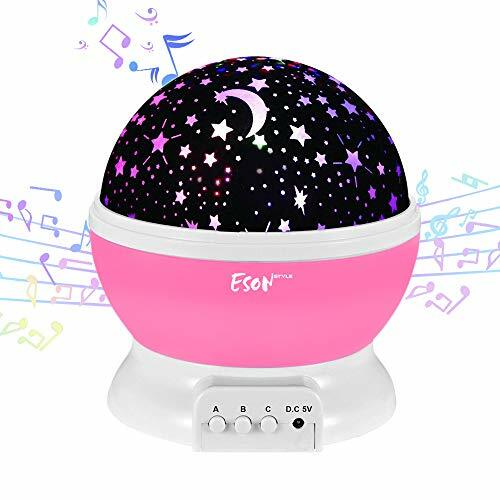 The lamp will illuminate your little fans room with a gentle glow. Limited availability. 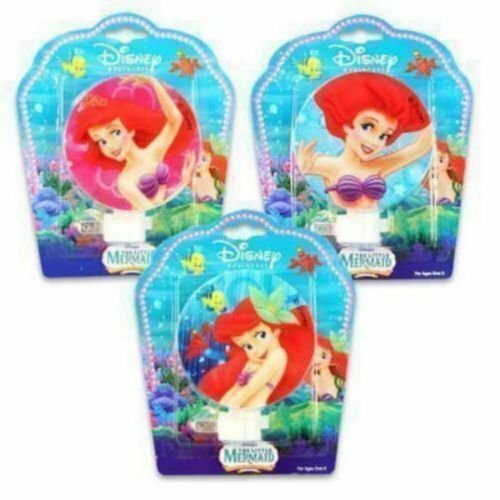 Disney Princess - Night Light - The Little Mermaid Ariel, the fun-loving and mischieveous mermaid, is enchanted with all things human. Ideal for Entrance, Hallway, Bathroom, Bedroom & Kitchen.